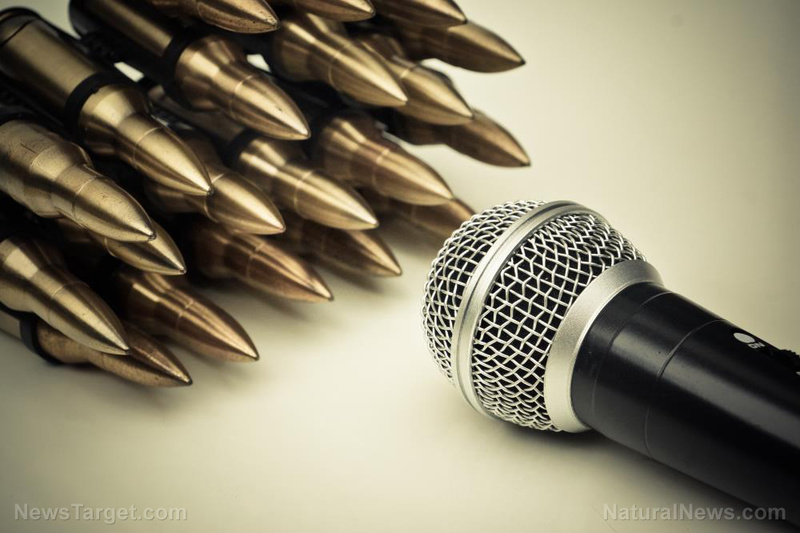 (Natural News) When it comes to social media, remember that you’re not obligated to use the platforms run by left-wing fascists in San Francisco. There are alternatives such as Gab.ai that promise to uphold free speech, individual liberty, and the free flow of information online – which could eventually make the mainstream censorship platforms obsolete. During a recent episode of The Alex Jones Show that aired at Brighteon.com, host Alex Jones got the chance to talk to Andrew Torba, the head of Gab.ai and a pioneer in online free speech. The two men discussed how the targeting of Jones and InfoWars by Apple, Google, Facebook, YouTube, Twitter, and even Pinterest is creating a liberal echo chamber in which no conservative voices are allowed. When asked by Jones how the left got “turned into such a monolithic group of anti-free speech monsters,” Torba responded to explain that the left still does value “free speech,” but only the type that aligns with their own personal leftist narratives. “This is the culture,” Jones responded. “It’s not just [Sarah Jeong] at The New York Times saying that whites are subhuman,” he added, referring to anti-white racist and recent Times hire Sarah Jeong, whose Twitter account is littered with hate towards white people. Torba added that his team identified “hundreds and hundreds of verified accounts” on Twitter, just in one weekend, filled with vitriol and hatred towards white people, Christians, people who support Donald Trump, and conservatives. But these are the only groups, he said, that mainstream social media platforms allow users to attack without consequence. Jones couldn’t agree more, having declared Silicon Valley to be full of “super-villain characters” who want nothing more than to completely eliminate all forms of speech that they don’t like or that “offends” them. “It really is their own weird psycho bubble, and they really think they’re going to dominate all of us,” he stated, pointing to a Wikileaks entry that also declared San Francisco to be the land of the “imperial cultural elite” who think they’re better than everyone else. “The internet, by design, routes around censorship, and that’s why we’re going to continue building, and hopefully others will rise up and continue to build alternatives so that we can escape the chains of Silicon Valley ideological echo chambers,” he added. Be sure to watch the full video Brighteon.com.